Ever since Aloha Airlines folded back in early 2008, Hawaiian Airlines has dominated Hawaii’s interisland travel market. There have been ebbs and flows over time, but the carrier’s market share has routinely exceeded 80% on all of the major interisland routes. The interisland business is a key point of strength for Hawaiian Airlines, accounting for roughly a quarter of its $2.7 billion in annual revenue. However, this part of the business has actually been a drag on Hawaiian’s unit revenue growth during 2017. Earlier this year, Hawaiian Airlines added two more 717 aircraft to its interisland fleet, giving it a total of 20. The idea was to enable the company to add capacity at peak times to support demand growth. Unfortunately, the arrival of these aircraft coincided with a growth push by the now-defunct Island Air. As a result, total industry capacity for the interisland market increased 9% in Q1, 14% in Q2, and 13% in Q3. The impact of this growth in competition increased over the course of the year. 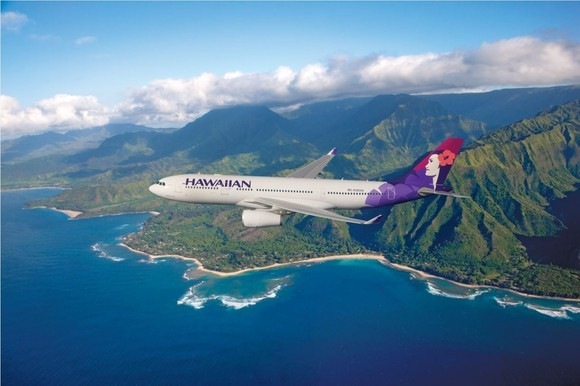 During the first quarter, Hawaiian Airlines’ interisland unit revenue declined just slightly, but by the third quarter, the carrier posted a high single-digit unit revenue drop for its interisland routes. However, with the disappearance of Island Air, Hawaiian Airlines now has an effective monopoly in the interisland market. Its one remaining competitor is Mokulele Airlines, which flies nine-seat turboprops. That hardly represents effective competition. Despite now having a virtual monopoly within Hawaii, Hawaiian Airlines isn’t going to implement a massive price increase. Doing so would give Southwest Airlines a huge opening to enter the interisland market. Southwest recently confirmed that it will start flying from California to Hawaii in late 2018 or 2019. It is also considering getting into the interisland business. The mere mention of their impending arrival sparked a fare sale over the last weekend among the carriers currently flying to Hawaii. Yet investors may be overestimating the threat from Southwest. If Southwest Airlines just operates a few flights in the middle of the afternoon between when planes arrive from the West Coast and when they head back, it won’t have much of an impact on Hawaiian Airlines. Alternatively, if Southwest wants to operate a full interisland schedule throughout the day, it will probably need to open a crew base in Hawaii. That would be a highly unusual step for a brand-new destination. As long as Hawaiian Airlines keeps its interisland fares relatively low, Southwest Airlines won’t have much incentive to do this.